A rock ‘n’ roll musical with mischief and silliness for kids aged 3-8 and grown-ups! Ready to set off on a rock ‘n’ roll adventure? Follow the charismatic singer, Kid Carpet, and his animal band (made up of a gorilla, a bear, a hedgehog and a badger) as they make friends, play games, contemplate the world and finally rock out at a grand dance contest! Positioned somewhere between Oliver Postgate and The Beastie Boys, Kid Carpet & The Noisy Animals is a fresh, lively and entertaining show that blends theatre and comedy with animation and original live music. Ed Patrick (aka Kid Carpet), is a Bristol-based maker of nonsense music and rock’n’roll theatre shows. 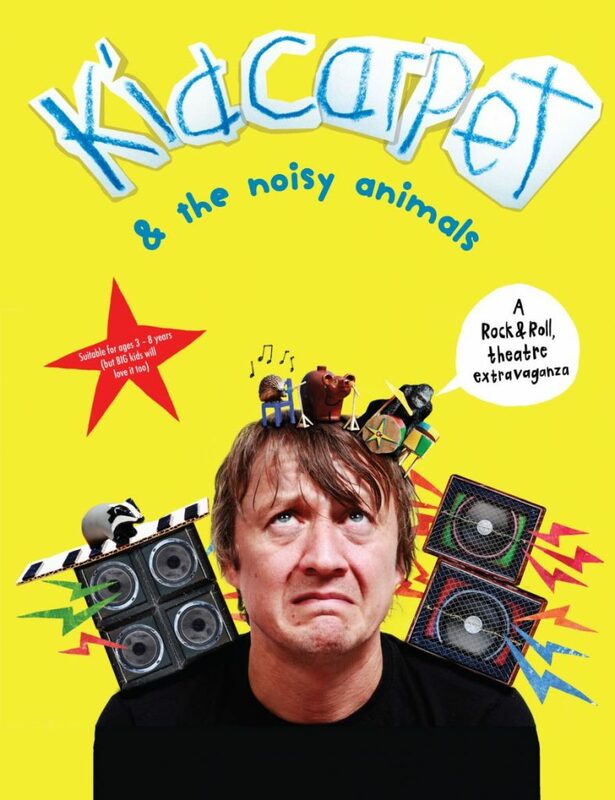 Before Noisy Holiday, Noisy Neighbours, Blast Off and Nativity, Kid Carpet & The Noisy Animals is his original punk rock musical for kids and has not been performed in Bristol for over 6 years!